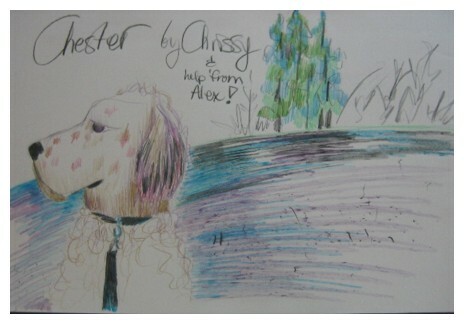 On Friday, March 23, the kids at the Confederation Arts Centre’s March Break Art Bunker immortalized Chester in canvas. The trees are beautiful and Chester certainly looks serene and content at Upton Farm. By the looks of this picture, we have some very impressive artistic talent in the city. Thanks to all of Charlottetown’s young artists for their support! This entry was posted on March 25, 2007 at 10:19 pm and is filed under Pictures, Raising Awareness. You can follow any responses to this entry through the RSS 2.0 feed. You can leave a response, or trackback from your own site.